References - Repair manuals for Audi 80, as well as manuals for maintenance and operation of Audi 80 vehicles since 1991. These workshop manuals describe in detail models with bodies Sedan, Coupe, Coupe S2, Cabriolet with 4-, 5- and 6-cylinder petrol engines with a working volume of 1.9, 2.0, 2.3, 2.8 liters, and also with a diesel and turbo diesel engine with a working volume of 1.9 liters, produced since 1991, equipped with a 5-speed manual transmission or 4-speed AT, with front and all wheel drive. Audi 80 1987-1990 Service Manual - Operating, repair and maintenance manual Audi 80/90 and Audi Coupe 1980-1988 release. Audi 80 1988-1992 Repair Manual - Manual for maintenance, diagnostics and repair Audi 80 1988-1992 release and Audi 90 / Coupe 1988-1991 years of release. Audi 80 1992 Workshop Manual - Manual for repair and maintenance of Audi 80 from 1992 onwards. 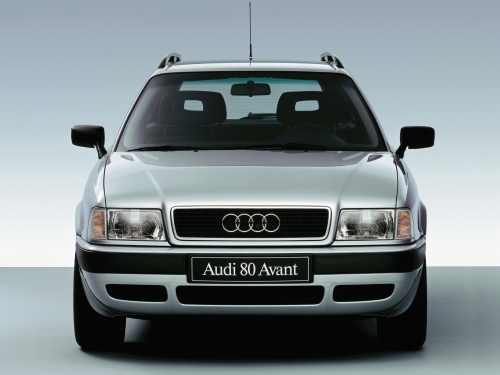 Audi 80, Avant Service Manual - Multimedia manual for maintenance and repair Audi 80 / Avant since 1991 of release. Repair manuals contain a large number of illustrations that show the controls and individual stages of work. Sections devoted to quick and simple troubleshooting help in troubleshooting. The procedures for repairing the engine, power system, exhaust system, clutch, gearbox, suspension, steering, brakes, wheels and tires, bodywork, electrical equipment, other parts and assemblies of the car are described in detail. The individual chapters of the manuals include the instruction manual for the Audi 80, the maintenance advice and the electrical circuit diagrams of the car. Workshop manuals are intended for owners of cars Audi 80, mechanics, workers of service stations and car-care centers.